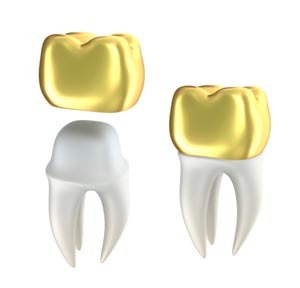 Crowns from Orgreave Dental Surgery in Sheffield are complete external coverings for your teeth – a ‘hat’ if you like, that is cemented onto your tooth once it has been reshaped to the ideal ‘head’ shape. They can be made extremely lifelike using modern porcelains; some of this work is now done using CAD-CAM technology to produce a strong core to the crown. The detail that brings your crown to life is still done by hand – our laboratory in Sheffield uses highly skilled GDC registered technicians to enhance these porcelains and add individual character to match to your existing teeth. Often the best crowns are those that you and your friends cannot tell are crowns! 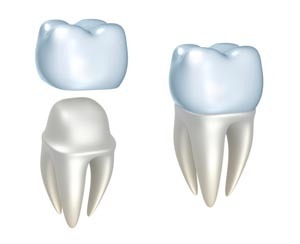 There are a myriad of possible crown materials – we will discuss these with you and our technicians to select the best for your particular circumstances – choosing the best balance between strength and aesthetics for your needs.